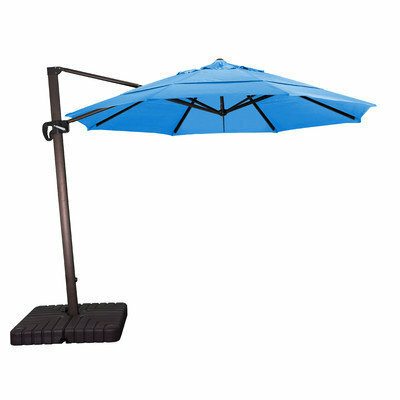 The VAST 118 is an exciting Cantilever Umbrella that opens up tremendous possibilities for any space. 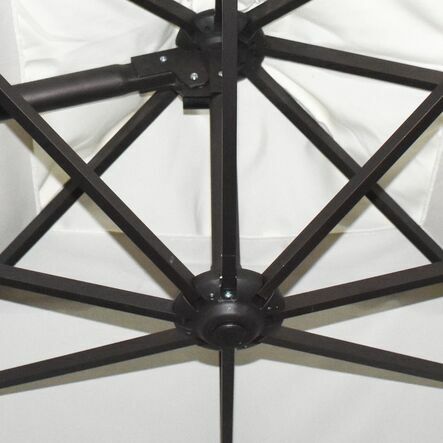 The Extra Large canopy tilts and turns 360 degrees with its peddle realease to offer the most dramatic shade potential. With a standard fillable base which can be filled with water, rock & sand for up to 350lb will stand up to the rigors of use and its strong aluminum frame and ribs will last you a long time. 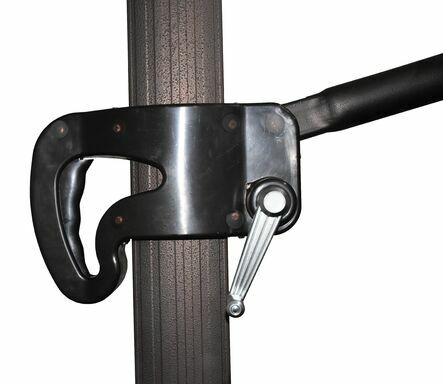 The Canopy comes in a wide variety of colors and cuts, offering the highest level of customization, and express color choices ship faster so you can enjoy the shade as soon as possible. Product Care: Keep umbrella closed when not in use and during wind. Special order item. Limited availability.